“Welcome to Marwen” is, in a word, indescribable. But not in a good way. Robert Zemeckis, who directed “Forrest Gump,” one of the most iconic underdog movies of all time, returns with another male protagonist with a remarkable story. But this time the filmmaker doesn’t quite seem to connect with his subject, which makes for an even greater disconnect with the audience. Mark very specifically surrounds himself with women in his toy world, including his physical therapist GI Julie (Janelle Monáe), symbolizing the main people in his life who care about him. Trouble is, Mark almost completely removes himself from the real world for this toy world — in which his doll representative is not a victim but an indestructible WWII hero in Belgium who defeats the Nazis, aka his bar attackers — to the point where, in his mind, the figurines are more real to him than the actual humans. At its core, “Marwen” tells a story of trauma, and that is what it does well. It’s about a man who’s so badly damaged by his attack, both mentally and physically, that he creates a whole new narrative for himself in which he can exclusively exist. Carell excels in this space, utilizing the awkwardness he’s known for as a comedic actor to illuminate Mark’s social withdrawal and underlying sadness that’s palpable in each scene. Threaded throughout the narrative is the looming dread of Mark’s scheduled trial date, when he has to face his attackers again in a courtroom. Mark avoids all reminders about it from his friends, including Roberta (the woefully underused Merritt Wever), a local vintage toy shop clerk, and even his lawyer Darius (Conrad Coates, “Star Trek: Discovery”), quickly shifting the conversation back to some aspect of his toy world before he is encased by terrifying memories. Zemeckis, with a huge assist from art director Chris Beach (“Altered Carbon”) and cinematographer C. Kim Miles (TV’s “The Flash”), wonderfully captures the world through Mark’s eyes as he drifts between his horrifying past and his fabricated, sometimes animated, present through vivid images of dolls and humans alike. Strangely, even the real-life city in which we meet Mark and his friends — including his syrupy sweet new neighbor Nicole (Leslie Mann) — looks like a bright, storybook world filled with bold colors and smiles. It’s the very antithesis of his brutal attack. But there’s a whole other facet of Mark’s story that feels shortchanged in the film: the fact that he’s a cross-dresser. It’s not so much that the film should rest entirely on this information, even though Zemeckis and Caroline Thompson’s screenplay does point out that it is the reason for his attack, which is the catalyst for this entire story. It’s just that it’s not treated with any real consideration. In the flashbacks, which are primarily shown through doll animation, Mark is proudly wearing black stilettos when he’s confronted by the group of men and boasting about the heel size. (“The higher the better,” he says.) In another animated storyline, the Mark doll is smitten by the Nicole doll (added to the collection because he’s got a crush on her), and explains that, “I collect women’s essence. I wear heels sometimes because they connect me to dames. I like dames.” As in real life, Nicole doesn’t have an issue with this. Though she is madly in love with him in Mark’s make-believe world, however, the two do not have a romantic connection in real life. But in the present real world, Mark’s cross-dressing isn’t so much a part of his story as something that was in his past, a part of his life he keeps stored in his closet (which houses over 200 pairs of heels). There is one other point when Roberta stops by to bring him a pair of espadrilles for his collection, and he is just about to put them on when Nicole pays him an unexpected visit. It just seems like a missed opportunity to explore an important part of him, since even though the movie spends much of the time deflecting from reality, its climax suggests that Mark can find some sense of closure and freedom if he faces the truth, not only about his attackers but also about who and where he is today. “Marwen” doesn’t succeed at confronting either of these things. Regarding his love for cross-dressing, or just wearing women’s shoes as he specifies in the movie, it could be taken that it’s just too traumatic for him to live as free, unbothered and confident as he once was, which is totally understandable. Even just one exchange alluding to that, whether it was with real-life Nicole or Roberta, would have been sufficient. Without it, there’s a slight disconnect, making it difficult to discern whether Zemeckis and Thompson’s characterization of Mark is an interpretation of who he is or a full embodiment. As a result, some parts of “Marwen” just seem empty, and while the filmmakers and Carell earn praise for tackling trauma through animation, the film ultimately has no real impact. I am bi your side." 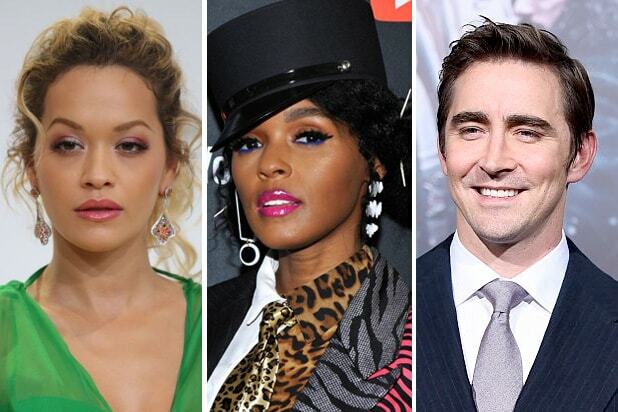 Read 20 great coming out stories by stars, from Jodie Foster to Matt Bomer.